AR Façade is an augmented reality version of the acclaimed desktop-based interactive drama, Façade. Few entertainment experiences combine interactive virtual characters, non-linear narrative, and unconstrained embodied interaction. 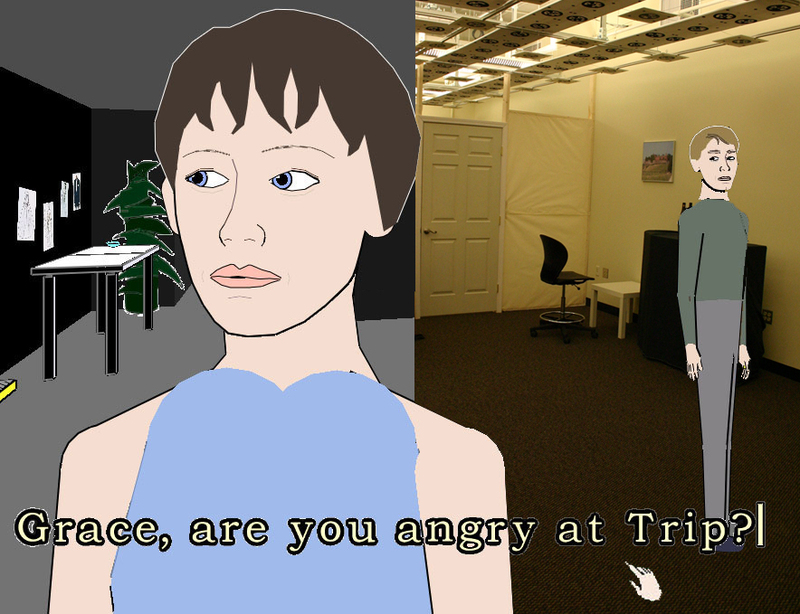 In AR Façade players move through a physical apartment and use gestures and speech to interact with two autonomous characters, Trip and Grace. Our experience converting a desktop based game to augmented reality sheds light on the design challenges of developing mixed physical/virtual AI-based drama and serves as a research instrument to emperically study the relationship between presence and engagement. Learn more. Not to be a jerk or anything but Trip and Grace are about 75% autonomous there’s a drama manager in there. I did a ton of research on that project and while it might seem like a small thing it’s always good to note.